In a 2007 interview between Guyanese-born artist Donald Locke (1930 – 2010) and London gallerist Paul Rice, Locke refers to the flight path connecting Edinburgh to California in the 1950s and 60s, a route taking the shortest distance possible over the Greenlandic icecap and bypassing London. 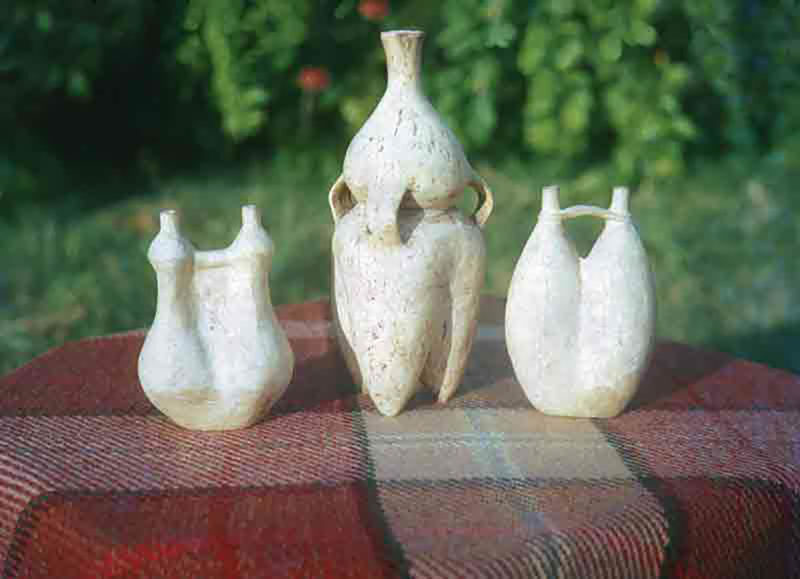 Between Scotland and Guyana he suggests, a direct artistic exchange and flow of ideas relating to new practices in ceramic forms took place at this time, circumventing the ‘centre’. Within this anecdote lies pertinent questions about how to position the wider body of research out of which this piece of writing originates. Over the past year, Mother Tongue has embarked on a future AfroScots curatorial project through archival and collection research, seeking to bring into a single narrative for the first time, the presence, work and exhibition histories of Black artists in Scotland. Focusing here on the late-1950s to the 1970s, and looking specifically at the work of three seminal practitioners with Caribbean roots, it appears that the little physical documentation remaining has often been dispersed beyond Scotland, thus creating the necessity to collect living memories in tandem. As a preliminary framework, this essay chronologically maps out the work, output and networks in Scotland surrounding Aubrey Williams, Frank Bowling, and—of primary focus here—Donald Locke. At great loss to local art narratives and histories, their time and projects in Scotland appear to have been largely forgotten over the past four decades. Surrounding this activity is a range of personal and professional networks which enabled projects and exchanges to take place, and which lasted beyond time spent physically here. 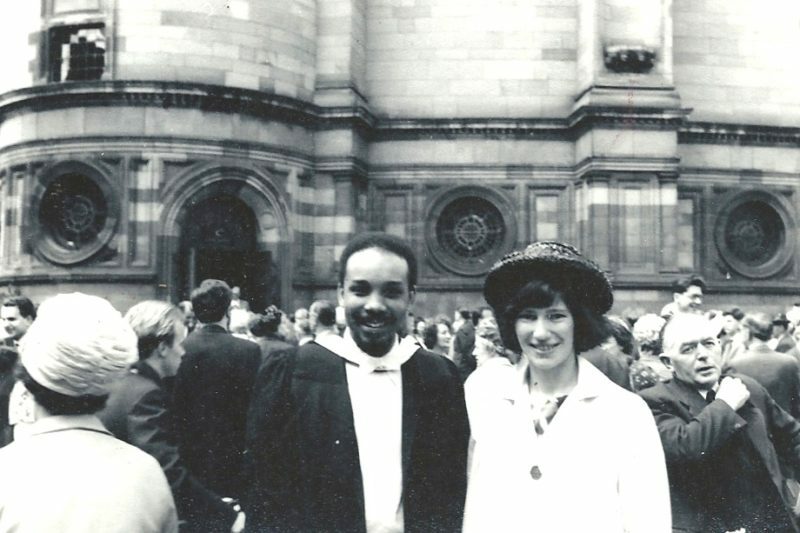 In October 1959, Guyanese-born artist Donald Locke arrived in Edinburgh with a scholarship from the Guyanese Ministry of Education to study for a five-year masters degree in Fine Art. Locke was at the beginning of what was to become a prolific career divided between Georgetown, Edinburgh, London, Arizona, and Atlanta. The masters programme was a split course between the University of Edinburgh and Edinburgh College of Art, now merged. The concerns his work tackled were clearly influenced by being between these two institutions: as well as fine art and aesthetics, Locke also studied moral philosophy and social anthropology. Graduating in 1964, he also received the Cousins Prize and the Lowenstein Fellowship, while his graduate thesis analysed versions of the portrait of Sebastien Vrancx from the Centum Icones, the Iconography of Van Dyck, circa 1645-49. 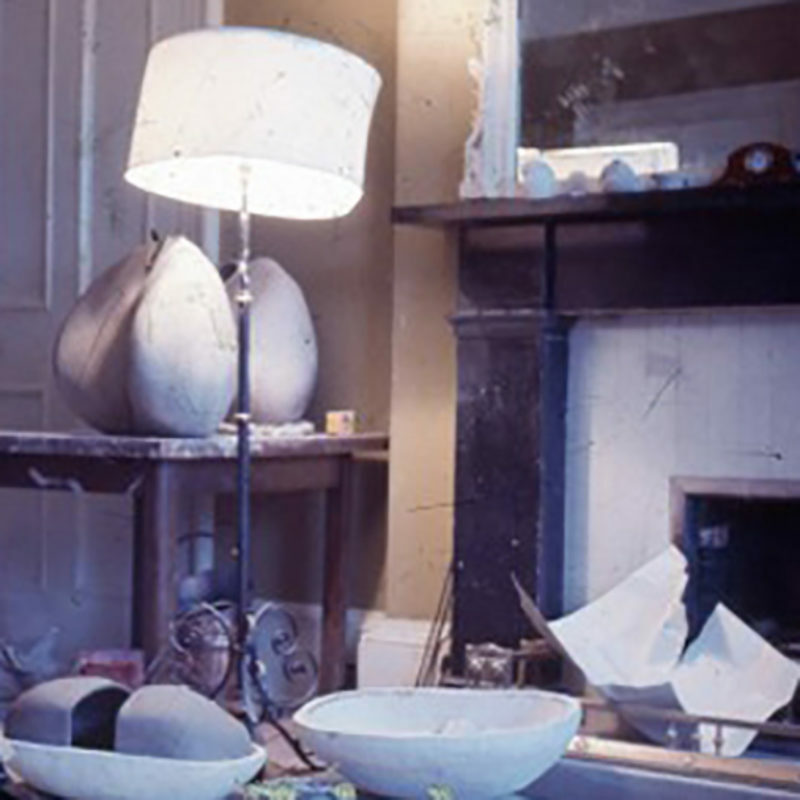 Locke returned to Edinburgh College of Art for five months on a British Council bursary in September 1969, taking with him plaster moulds he had produced in Guyana. During this time his early studies in clay and other materials resulted in works he described as ‘twin-forms’. Experimenting with documentation in various locations, he juxtaposed them against different textures and patterns. His tutors during this second relocation included Katie Horsman, Lecturer in Design & Ceramics at Edinburgh College of Art from 1943 to 1976, and Dave Cohen, Lecturer in Ceramics from 1965 to 1986. Circa 1976, Locke participated in Cone 9 Down, a group show to mark the retirement of Horsman at the New 57 Gallery on Market Street. Noteworthy here is that this exhibition took place seven years after Locke’s last working period in Edinburgh, demonstrating that links and networks were maintained over time and across geographies. It is worthwhile placing Locke’s exhibition-making in the context of the Caribbean community in Edinburgh at that time and together with other art forms. The artist was also active on the music scene, playing in a calypso band, which a relative remembers as performing ‘Friday nights in the basement of one of the university departments in George Square.’  A Caribbean student drama group was staging productions on campus at the University of Edinburgh, including Derek Walcott’s Ione and Henri Christophe in 1961 and 1962, reviews of which suggest their success and popularity. An Edinburgh branch of the Caribbean Artists Movement (CAM) was proposed by poet Kamau Braithwaite in 1967 to Kenneth Ramchand, then a lecturer undertaking his doctorate in literature at the University of Edinburgh. Ramchand and Braithwaite corresponded for some time about this proposal including: discussing the theoretical framing of such an organisation locally, proposing names for the group, expressing potential obstacles in terms of a small membership, and discussing a joining fee to subside activity. Although material was sent by Braithwaite to the Edinburgh University Men’s Union, recent correspondence with Ramchand has made clear that ultimately attempts to set up a branch were not successful. In a letter dated January 1967, Braithwaite writes to Ramchand, ‘Why don’t you start a branch of CAM in and around Edinburgh? This will give some of us a chance of coming up, visiting you, and doing something in the North.’ Six days later, Ramchand replies and notes that, ‘a branch of CAM is difficult here because we are not many. We function mainly as a society, i.e. parties and films. It is hard to launch anything…’. Outside the Caribbean community at the university, other initiatives brought artists and their work to Scotland at this time. In 1965, Glasgow was one of the host cities for the Commonwealth Arts Festival, which mounted the exhibition 4 Painters, 1 Sculptor at Gilmorehill Hall, on the University of Glasgow campus and concurrent to projects in the fellow host cities of London, Liverpool and Cardiff. Although photographic documentation of this exhibition has not been located, the catalogue names the works, including four paintings from Aubrey Williams (1926-1990). 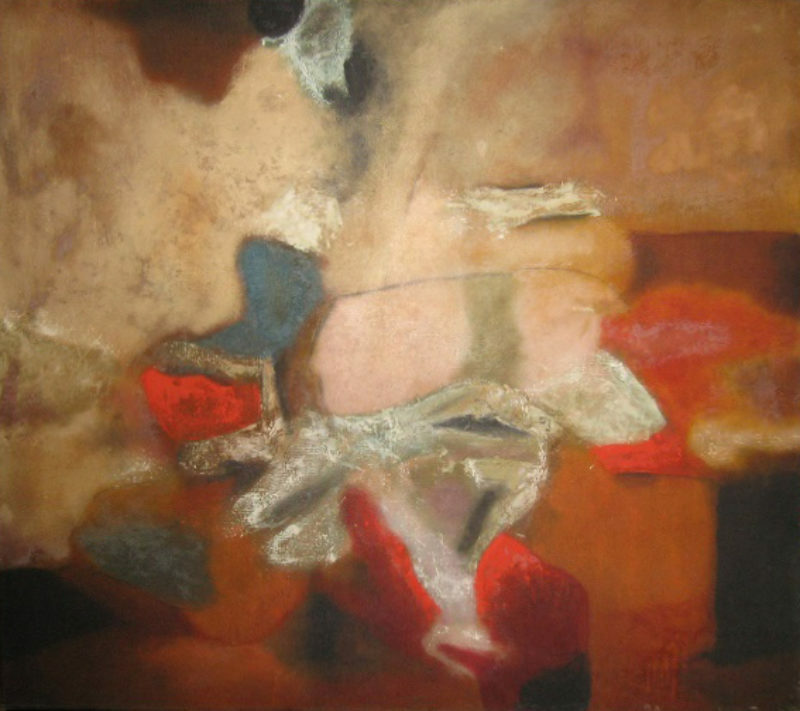 One of these, ‘Rockface’ (1964), shown above, is an example of the artist’s abstract expressionism, its colours and shape referencing the pre-Columbian Indian iconography of Guyana, which was to come into sharper focus in his paintings through the 1980s. Williams’ work was shown alongside that of Arthur Boyd (Australia), Avinash Chandra (India), Ben Osawe (Nigeria) and Jean-Paul Riopelle (Canada), but it has been difficult to ascertain whether the artist visited Scotland for the exhibition’s installation and opening, and the public response to his work. 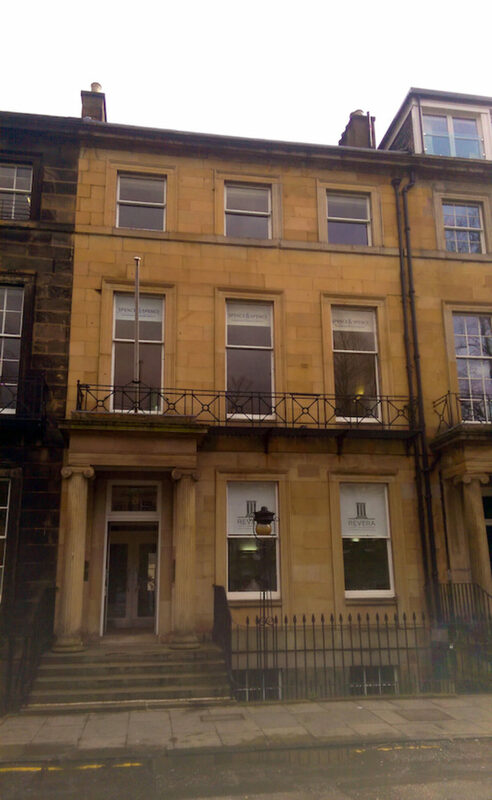 The Commonwealth Institute Edinburgh, 8 Rutland Square—informally known as the Commonwealth Galleries—opened in 1961. It was a modest version of its London counterpart, sometimes receiving touring shows from the capital, less frequently organising its own exhibitions, and occasionally sending exhibitions of ‘Scottish art’ south of the border. 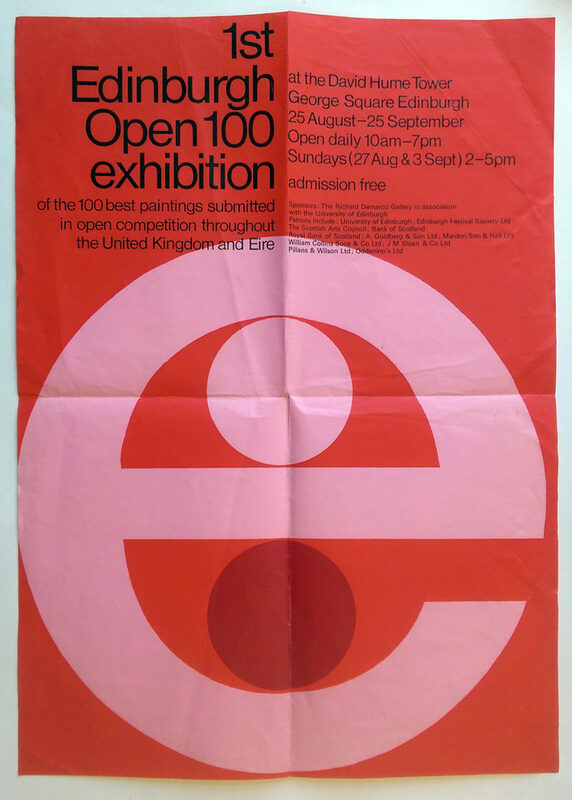 Although it did not close until 1996, it appears that by the 1980s the exhibition programme was winding down, overtaken by educational and library activities. Early on, New Zealand-artist Bill Culbert participated in a group exhibition at the Institute. Then invited to organise a show himself, he mounted the show of abstract work Bowling, Culbert, Stocker, eponymously named for the artists Frank Bowling, Bill Culbert and Neil Stocker, all of whom had studied in London. A report from the Institute notes, ‘Frank Bowling’s paintings received all the notices’, while a review by art critic Cordelia Oliver ends by saying: ‘…it is Frank Bowling’s work that makes a visit well worthwhile.’ Three years later, Richard Demarco selected work by Frank Bowling for the Edinburgh Open 100, an exhibition held in the David Hume Tower, University of Edinburgh: Bowling won one of the nine prizes awarded (judges were Sir Roland Penrose, Norman Reid and David Baxandall), with his painting, ‘My Guyana’. Only a beginning in remedying this absence, this essay falters in not yet extending beyond the biographies and exhibition histories of these three practitioners to consider formally the work produced and exhibited in the locations, contexts, and periods discussed: this exploration to be continued. There also exists the potential to remedy the absence of their work and time in Scotland by other means, as we think about collection holdings and public platforms. Perhaps of most interest will be to think further about the reverberations and echoes of these practitioners and their work in the decades since, and for those who have followed in their footsteps. The research undertaken in advance of this essay was made possible by a research support grant from The Paul Mellon Centre for British Studies in Art, London, and an additional grant from the British Council Scotland. This facilitated research in the National Records of Scotland; the National Library of Scotland; the George Padmore Institute, North London; the Centre for Research Collections at the University of Edinburgh; and the studio and estate of Donald Locke, Atlanta, which would not have been possible otherwise. This essay is based on a paper given at the 2016 Association of Art Historians Annual Conference, held at the University of Edinburgh. The author would also like to thank Richard Demarco for his recollections regarding the Paperback Bookshop and Gallery, and to The Demarco European Art Foundation for their permission to include documentation from the Edinburgh Open 100 Exhibition. Photographs of these items were taken by the author in the Scottish National Gallery of Modern Art Library, Modern Two, with thanks to Kerry Watson and Mairi Lafferty. The author would like to express her gratitude to Maridowa Williams for her assistance in providing images of the works selected for the 1965 Commonwealth Arts Festival, Glasgow, licenced by DACS. Final thanks are given to Kenneth Ramchand, Gillian Ramchand, Anne Walmsley, Karina Williamson, Alberta Whittle, and Janice Whittle.